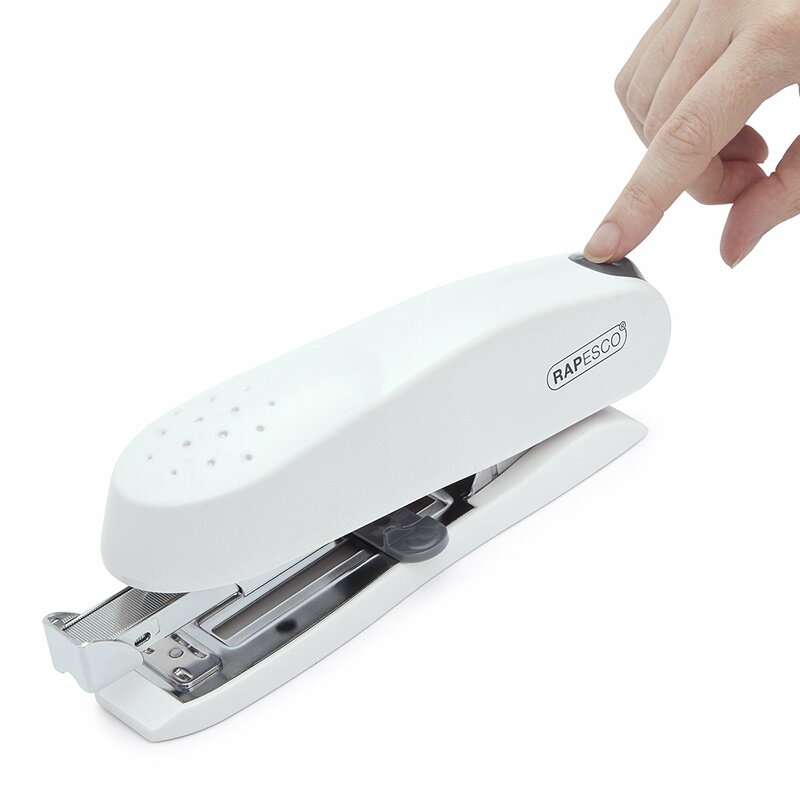 Many of our desktop staplers are top loading – with the top of the stapler sliding back to allow for staple loading. Hold the base of your stapler firmly and pull back the top of the stapler where the staple magazine is. 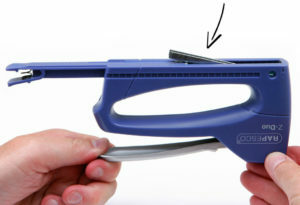 Many of our staplers feature a safety lock-back feature to keep the top of the stapler in place. Insert the strip of staples, points down, into the staple channel and close the top of the stapler, the magazine will slide back into its correct position and you’ll hear a small click. Some of our staplers, such as the Zero 01 or our range of Heavy Duty staplers, are front loading. To load these staplers, depress the button at the rear of the stapler to eject the staple magazine. Insert the staples and gently slide the magazine home. Your stapler is ready to go. Our hand tackers load from the bottom of the tool. This makes for fast, easy loading and is a simple process. With the tacker upside down, squeeze the release button at the rear and slide open the magazine. Insert the staple strip with the sharp edge pointing upwards and carefully slide the magazine closed until it locks into position. 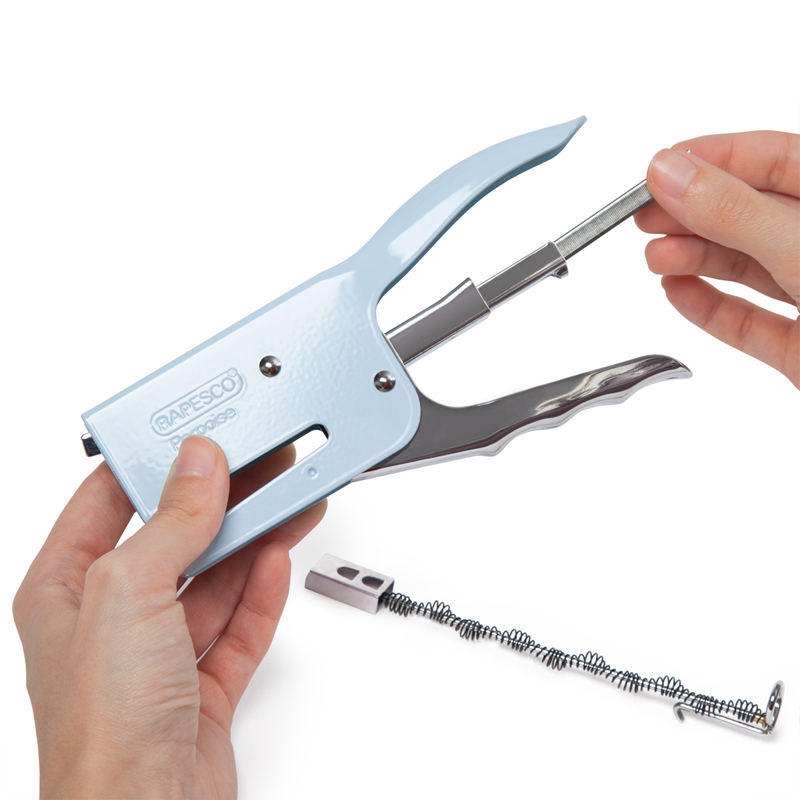 Classic, traditional stapling pliers such as the Rapesco Porpoise or our new SP-64 are rear loading. To load these plier staplers remove the magazine pusher from by pressing it in and unhooking it. Place the staples, legs down, across the staple channel and slide into the chamber. Carefully reinsert the magazine pusher and press the spring home allowing you to hook it back in place. 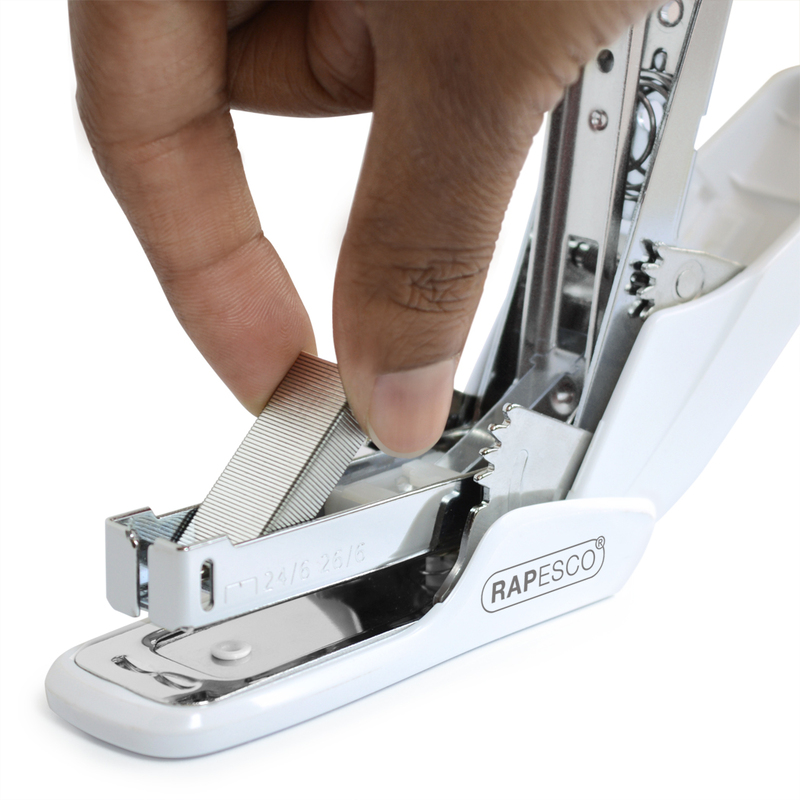 Explore our full range of staplers today.